Wow! 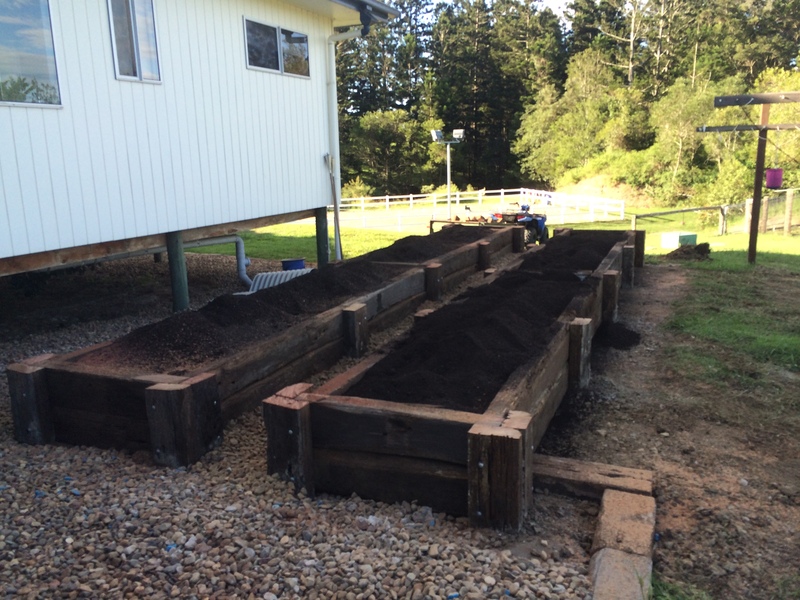 Look at this raised veggie patch! There is so much room here to grow a variety of vegetables, and practise crop rotation as you get serious with a back yard veggie garden. There are so many benefits of growing your own veggies. To walk out your back door and pick the veggies you are going to have for dinner is so rewarding. Knowing was has and hasn’t been sprayed onto what you are eating and feeding your family is also peace of mind. Veggie patches are a great way to get children involved and interested in growing vegetables and sampling what they have grown. Adding worm towers to your garden bed is a great way to dispose of kitchen scrapes which reduces waste thrown in your rubbish bin, and also builds up the worm population in your garden. Worms are fantastic to have in your garden as their casting are a valuable fertilizer. Please contact us if you are interested in having a veggie patch built in your yard, we are happy to discuss your requirements and provide a free quote.